Hey guys, went ahead and copied this post from the main for sale section, price is 74.99 Shipped and if your in the "Gulf" area shipping should only take a day or two Pm me if your interested I have 6 sets left. 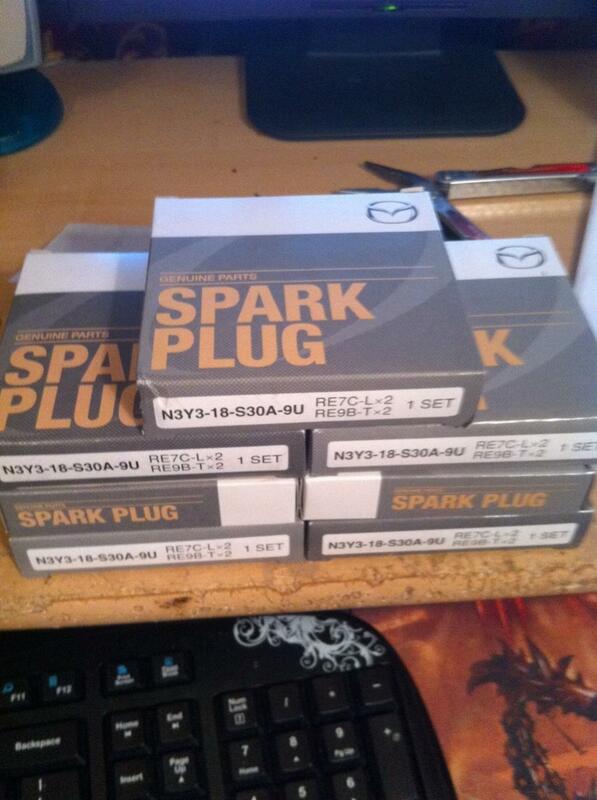 I have up for sale a total of 7 sets of Genuine Mazda spark plugs. This is a new set of Mazda RX8 spark plugs. Mazda part # n3y3-18-s30A-9U This includes 2 leading and 2 trailing Spark Plugs. If you buy more than one I will combine shipping so you do not have to pay full shipping for each set. Price is $70 + 4.99 shipping. I accept Paypal. Last edited by celbii; 06-09-2011 at 10:20 AM. Bump got some more sets, PM me if your interested. U still got some I want to buy one. This thing dosent let me send a pm. Yes sir shoot me a pm if your interested, thanks. Still have a few set $70 shipped or 65 picked up, shoot me a PM. Last edited by celbii; 06-26-2012 at 11:08 AM. New owner, half way done with first rebuild.